The soup dumplings were the star of my meal. They were perfectly made and the ratio of soup to dumpling was great. Don't forget to order the Korean rice in a bowl, you really don't want to miss out on this as a main course. They have a wide menu on offer from dim sums, sushi, baos' and even some Korean cuisine. So really, this eatery gives you an awesome variety to choose from. There were some teething issues as far as service was concerned with food taking 45 minutes to arrive to our table, but I'm sure they will only get better with time. 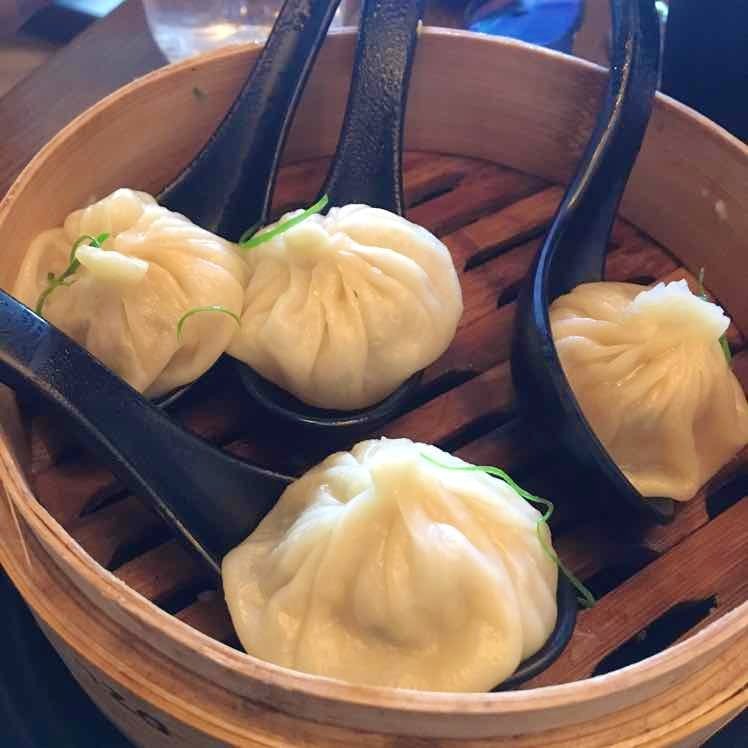 The soup dumplings when served look so welcoming, but remember the key word is soup. Soup is hot. So make sure you give them time to rest before you eat or else!